The Cureline management team is well known and respected among members of the scientific community. We are committed to providing the highest quality consulting, project management, and study support, which will help you to achieve your research program goals. Our clinical team is comprised of a group of highly motivated and well-trained life sciences experts, medical professionals, lab techs, and general support members. Their familiarity with the clinical setting allows for the successful implementation and execution of custom designed projects. At Cureline, we strive to be involved in your biomarker R&D, companion Dx, clinical research and development process not only as service providers but also as your collaborators. Our experience and knowledge allows us to understand our clients research goals and act as an ideal partner for your scientific programs. 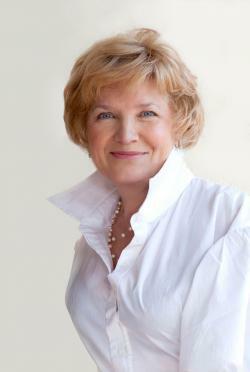 Olga Potapova is an expert in biotechnology, life sciences, business development, and international alliance management. Since 2003, Dr. Potapova has led Cureline, a group of companies working in the area of precision medicine, translational medicine research and laboratory services. Previously she worked in the fields of cancer research (NIH and Pfizer/SUGEN), human molecular genetics and genomics, oncology drug R&D, and translational medicine. Since 2010 Dr. Potapova is the TCGA and CPTAC (NIH, USA) Principal Investigator. She has advanced degrees in Physics and Biochemistry and has received multiple AACR/AFLAC awards, NIH and NATO fellowships. Ms. Talmadge has been an entrepreneur and a business manager for over 25 years. Kathleen oversees project management and the financial activities of Cureline. 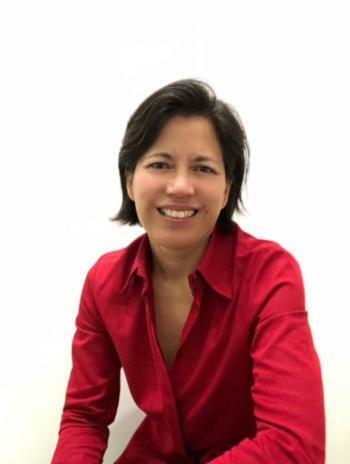 Prior to joining Cureline in 2005, she was instrumental in setting up and managing various companies in the high-end retail, hospitality and service maintenance industries. She brings to the Cureline team her extensive experience in finance, accounting, purchasing and contract negotiations. Kathleen holds a B.S. in Economics from Assumption College (Makati, Philippines). Dmitry Belyaev is specializing in clinical research since 1990. Dmitry oversees Cureline's activities in Europe and is responsible for protocol reviews and regulatory submissions.Dmitry has broad clinical research experience in a number of therapeutic areas, including Psychiatry, Oncology, Pediatrics, Cardiology, and I mmunology. Dmitry is an expert in Quality Assurance, GCP/GLP, and regulatory affairs for medicines and medical devices in Europe. Dmitry Belyaev received an M.D. from the Pavlov Medical Academy, and holds clinical certificates in Emergency Medicine and Psychiatry. Dr. Belyaev's's leadership in managiing Cureline TCGA program resulted in multiple co-authoships on the TCGA publications in Nature, Cell and NEJM (2012-2015). Dr. Marilda Chung, MD is a Board Certified pathologist with expertise in diagnostic Surgical Pathology and more than 20 years of experience in academic, research, and community hospital settings. She completed her Residency in Anatomic Pathology at Stanford University Medical Center, where she also completed advanced fellowships in Neuropathology and Surgical Pathology. Dr. Chung held appointments as Assistant Professor and Attending Professor at the Cornell University Medical College (New York, NY), where she was actively engaged in residency and medical student teaching, and was an Attending Pathologist in Surgical Pathology as well as Co-Director of the Division of Neuropathology. She has collaborated on numerous published papers in translational and diagnostic/oncologic pathology and has served as a Consultant Pathologist for San Francisco Bay Area research institutes since 1999. Dr. Chung currently directs the Surgical Pathology services at Saint Francis Memorial Hospital (San Francisco, CA). Dr. Voronina is a co-Founder of Cureline Inc., and has an extensive experience in international biotech, pharmaceutical and academic clincial projects. Since 2001 she has led the acquisition and archiving of human tissue specimens for drug discovery and development, and successfully established the Cureline Clinical Network. Dr. Voronina has more than 20 years biopharma experience and provides leadership in Cureline's scientific research and clincial program management worldwide. Dr. Voronina's leadership in managiing Cureline TCGA program resulted in multiple co-authoships on the TCGA publications in Nature, Cell and NEJM (2012-2015).